Aunt Clara has a dry lump on the top of her head and has lost the hair there as well. It seems to be growing slowly. That said, our Boston did have doggie herpes in recent months. This doesn't look the same to me, but I'm not sure what it could be. Last edited by matzwd; 07-02-2013 at 04:30 PM. Hot spot maybe? Let me get some experts here! 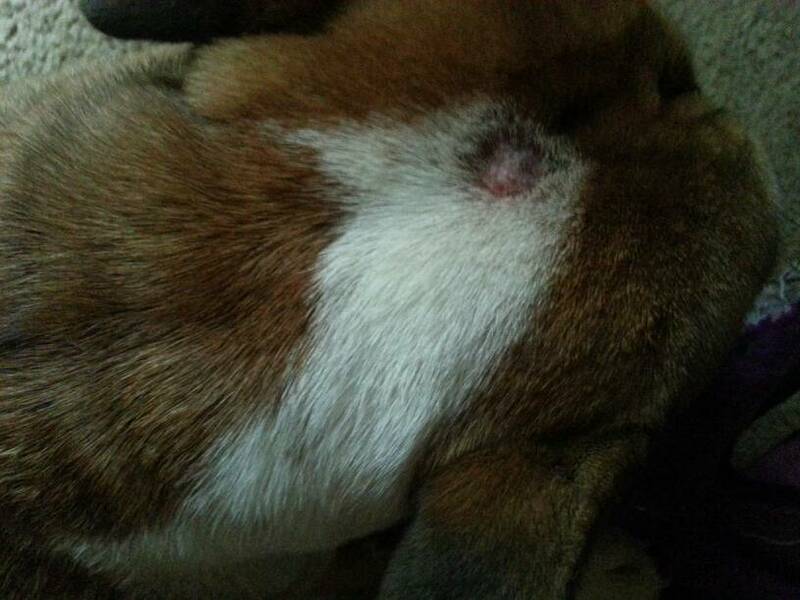 no thats not a hot spot being dry lump and hair loss but im not sure what it is. perhaps time for a vet visit. maybe someone else knows what it is. She had had a couple if hot spots in the past. This is definitely not one if those, not oozy out anything. Seems almost like a callous except there is nothing rubbing it as its on the top of her head, and it's gradually getting bigger. Is it possible it's a reaction to a bug bite? It started about two and a half weeks ago and looked a little reddish at the time, so I kept it clean and put Neisporin on it. Irritation went away, but not the bump. Look into hystiocytoma which is totally spelled wrong!! Just off the top of my head. Could also be a wart, clogged hair pore causing abcess... That's all I can think of! Holy I spelled it right! I think that's probably what it is, have your vet check it to make sure it's benign. Yeah, looks like she's going to have to see the doc. If I could get an educated guess on what it could be I could try to treat it in the meantime. I know antibiotic ointment isn't fixing it, and she seems to be completely oblivious to it so I don't think it itches or anything. I don't think it's a histiocytoma as it is nit as bulgy as the pictures I could find, and not really red, more scaly/dry and raised. Yes, it does not look as red but it is new right? remember google pics show the worst cases, I've seen them posted that look more pink too. Warts are also common, it could even be an insect bite. I sure hope its nothing too bad and let us know what you find out from the vet.